At Vision House, a big part of our creative process is immersing ourselves in the client’s marketing materials. One of the first questions I ask- “Please give me all the customer facing marketing collateral that you have.” Sometimes we get a comprehensive branding document and this can be immensely helpful. Color palettes, logo placement guidelines, design motifs and accepted practices. But mostly, when we create a video, build a site or otherwise design something creative for a client, the response to this question is either a line card with some bullet points or a quickly brainstormed email sent over the next day. Not everyone has a large enough marketing budget to create all the collateral they need…The act of presenting oneself to others through media (or in person) requires, by definition, an understanding of who you are. For most organizations this is constantly changing as they grow, shift focus and continuously redefine themselves. If you have the budget to do a comprehensive brand study, create a brief, target and control your messages then we can work with you to leverage that effort (see this case study: MedPlus). But for the small, growing business we can rely on a more pragmatic approach. This Needs Analysis list is one of the first things I send to smaller business clients to get them talking internally about what their goals actually are, what they want to accomplish, and ultimately… who they are. On many occasions this discussion has sparked some great branding discussions and really helped to define themselves more as they invested in a video or web site. Take a look and see what ideas you have. Do you have sample videos you can show us that look similar to what you want? Do you have a script or summary of the video already? 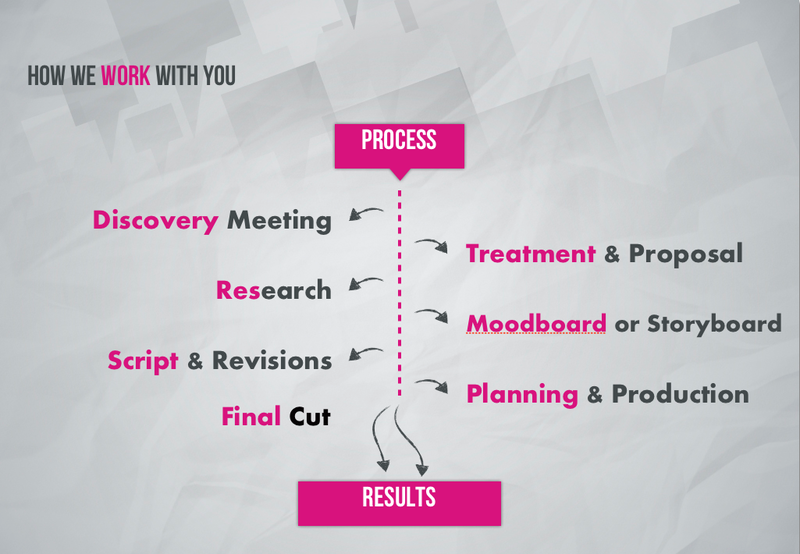 Do you need us to develop the message and script or just help rework what you have? Explain your ideas on how you will show the video to your target audience. Will you personally hand your video to a member of your target audience? Do you want them to be able to watch the video on the Internet? Will you ever need to show your video in a sales presentation or in a meeting? Will your video need to be handed out at trade shows or sent via direct mail? Do you want the ability to put your video in a PowerPoint presentation? Opening logo animation with music and optional effects. Video footage of your employees serving customers or working together on projects. When these elements are combined with a persuasive script and creative editing techniques, the end result is a video that will meet and often exceed your goals for the project.